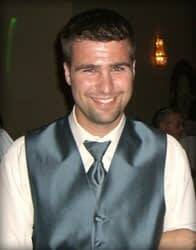 We lost our son Brad to Cardiac Arrhythmia due to Acute Myocarditis on Sunday, April 18, 2010. He was 27 years old and only sick for two days. His wife, Amy, took him to the ER on Friday, April 16th. Brad and Amy told the ER staff that he had chest pains, a racing heart, and abdominal pain. When he got there he immediately vomited; at that point the focus of the ER staff was on his stomach and the flu-like symptoms even though both Brad and Amy had told them of the chest pains numerous times. After spending five hours in the ER, Brad was discharged with the explanation of “Severe Abdominal Pain – Cause Unknown”. On Saturday, Brad had an uncomfortable day, but was feeling somewhat better. On Sunday, April 18th, Brad and Amy spent the day watching television together and he was feeling better. About 8 p.m., Amy went to a friend’s house and Brad was going to make supper for them. He was outside talking with her when she left. She told him she would be home in about an hour. When Amy came home at about 9:15 p.m. she found that Brad had died while she was gone. It took the pathologist about a month to find out it was myocarditis. Brad was a great young man with a promising future! We had never heard of this awful disease before this, and we turned to the Myocarditis Foundation for information on what had happened to our son. We feel the need to help others become more educated on this disease, especially the doctors. 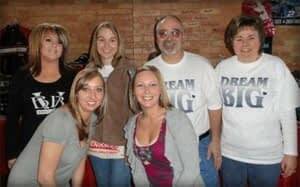 A benefit was held in February 2011 in Brad’s memory and enthusiastically supported by the Kewaunee community. Over 400 people, including the mayor and law enforcement officers, attended the event and proceeds were given to the Myocarditis Foundation for awareness and education programs. It is our hope that by educating individuals and healthcare workers, this tragedy may be prevented from happening to other families.